This photo reminds me that sometimes winter can bring not just cold and way too early darkness, but some fun, magical and unexpected things, too. 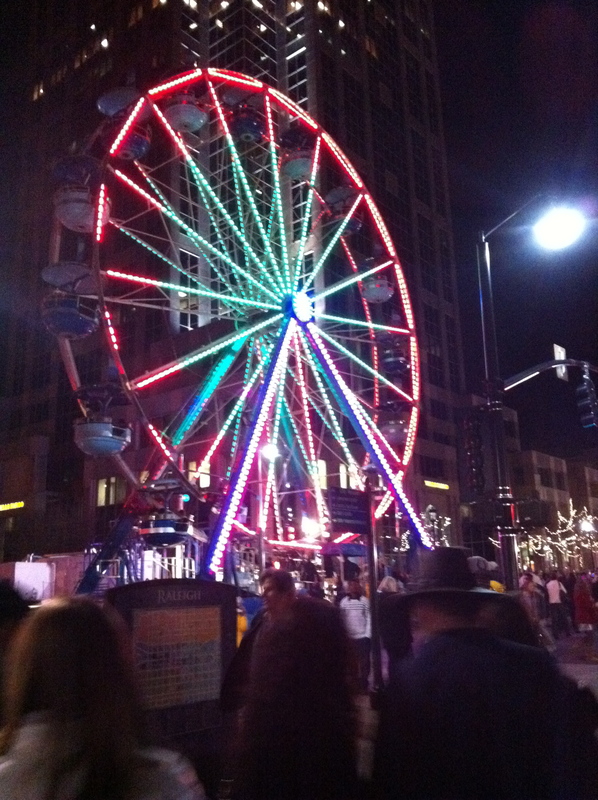 Like this giant ferris wheel in the middle of downtown Raleigh on on Fayetteville Street. It was a feature of the French-themed First Night Raleigh 2011.